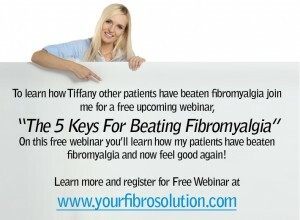 Laura Shares Her Story | Your Fibro Doctor - You don’t have to live with fibromyalgia! In my practice, my goal is to find and fix the causes. 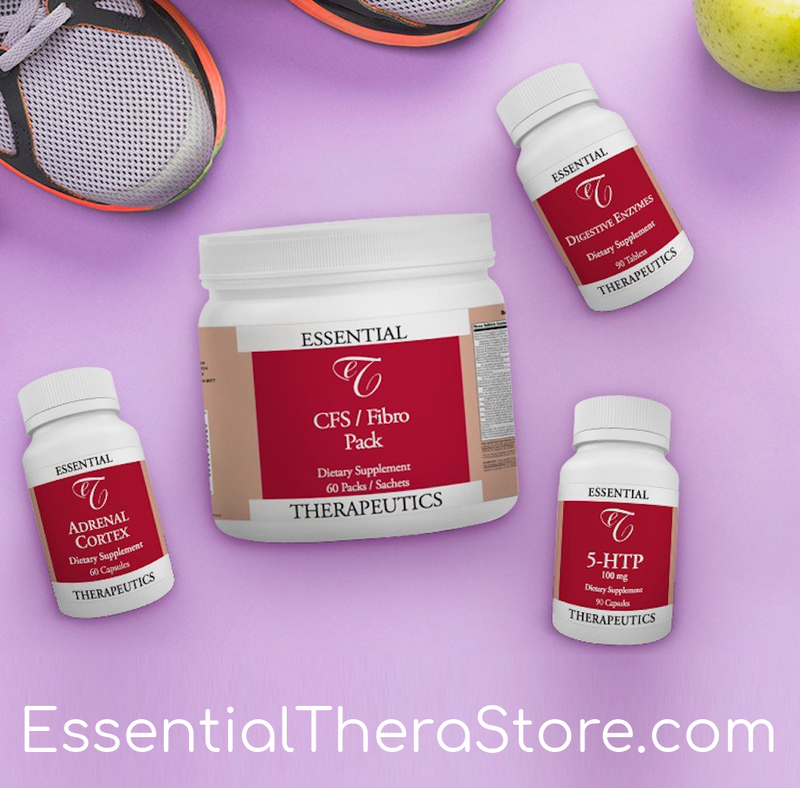 My goal is to make sure that I’m not just covering up symptoms and doing it with natural supplementation – I don’t think that’s any better than trying to do it with prescription medication. I use functional medicine which looks at how well or how poorly the different systems in the body are functioning. Once I know that, then I know where the person is broken down, where they need the most help and based on the protocols that I’ve been using for the last 20 years, I know what I need to do to fix that biochemistry. Once I fix the biochemistry and correct the physiology, the person now is able to start to reverse their symptoms and get their life back. For most people, that’s re-establishing deep restorative sleep. 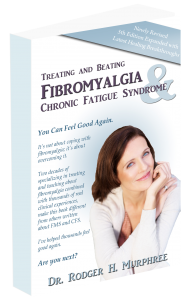 For others, it’s fixing adrenal fatigue; for others it’s fixing a low thyroid disease that’s been there for a number of years that’s contributing to their fibromyalgia symptoms. For other people, it could be neurotransmitter problems – low serotonin, dopamine, norepinephrine and the brain chemicals need to be fixed. These things can be found through proper testing but unfortunately, most doctors in the conventional world when you have fibromyalgia, they tend to sweep all your symptoms under the fibromyalgia rug, put the label on you and you’re kind of doomed forever, because when you come to see them they run out of things to recommend and they just say, oh it’s your fibromyalgia, you’re just going to have to learn to live with it. 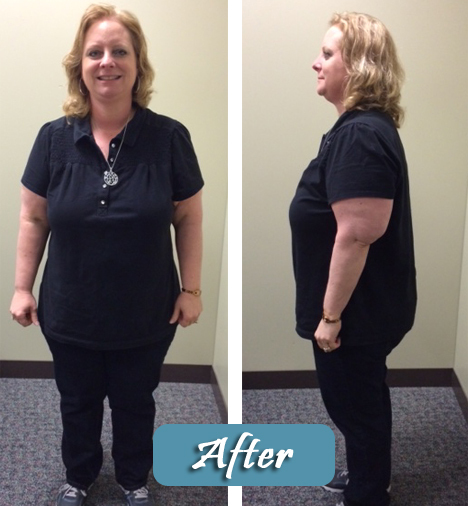 One of the patients that decided to do something different is my patient Laura. I’m delighted to have Laura, she’s done really well. She’s got some more goals that we’re working on and I have no doubt we’re going to achieve those. We’ve achieved quite a number of goals already and I’m so proud of her for hard work, and what we’ve been able to achieve together. Laura if you’re on the line, if you would be kind enough to hit star 6 and join me. DrM-thanks for joining me tonight. Can you tell us a little bit about your story, just how it all started and go back a little ways and tell me how your illness became compromised, what you tried and didn’t work and then what you tried that has worked? Laura: Sure. I’m 46 years old and I would say about 20 years ago, I started experiencing neck pain. It just continued and persisted and I ended up going to see a rheumatologist. That probably took about 5 years before I did that and then began my journey on lot of different prescription medicines and physical therapy. I tried physical therapy, different kinds of physical therapy, I was on Vioxx at one point, I was on Lyrica at one point, on a lot of different medications and just following the advice of the rheumatologist and trying different things. Then I got very frustrated, I was doing some looking on Facebook and saw Dr Murphree’s book and started looking into him and his information, and it all made sense to me. I was just amazed. I actually didn’t really always believe I had fibromyalgia and would just sweep it under the rug and call it arthritis. But when I read his book, everything that he said spoke to me so much, it was amazing. When I came to Dr Murphree 6 months ago, I was on Cymbalta, a muscle relaxant, Tramadol, I went to a pain specialist as well and had nerve ablation shots – I forget what they call those, the needles in the back to try to help with pain, there’s a specific wording for that but I don’t seem to recall what it is at this moment. I was on 2 different kinds of blood pressure medication; I take Tylenol daily and take Celebrex as well, and still had a lot of pain and sometimes would be so frustrated, in pain and on some days, it would bring me to tears. Through his program, the difference is amazing. DrM-When you started, if I remember right you were on 7 different meds and I think you’re on maybe 1-2 now. DrM-When we started, I did some blood work on you. One of the things that we saw was that your Hemoglobin A1C level was elevated – it was 6.2 and we both had a concern that you might be heading into type 2 diabetes, which neither one of us wanted you to be heading. Of course we did your blood work today and your Hemoglobin A1C has now dropped down to 5.4, which it can’t really get much better than that, anything under 5.7 is great. Your C Reactive protein level, I was so thrilled to see that today. For those people that don’t know what that is, C Reactive protein is a marker for inflammation –it can be any kind of inflammation but primarily inflammation in the cardiovascular system, so the blood vessels and the heart. Anything above 3 and you’ve got an increased risk of heart attack and stroke, so it’s not something to be taken lightly. 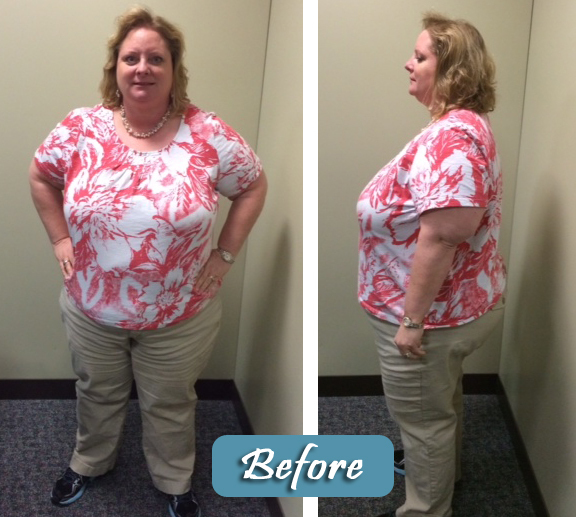 When we first tested Laura, she had so much inflammation in her body that her CRP was at 20. We retested and it’s now down to 6, and we’ve still got a way to go but as she continues to get her thyroid working correctly, her adrenals working correctly and lose weight, that number should continue to come down. Your triglycerides, the blood fats were 267 – you never want that above 150 and they’re down to 122 … pretty amazing. You’ve worked so hard to get better and I think we would both agree that part of that was laying the foundation, and then the anti- inflammatory weight loss diet. Laura: Right. 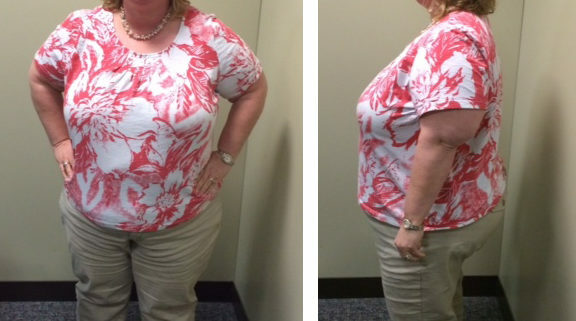 I have lost 62 pounds and 78 inches in 5 months (78 lbs. in 7 1/2 months and still going!). DrM-When people hear that, they think it’s all about the weight loss. No, it’s not. The weight loss is great. Obviously if you’re carrying around extra weight, your blood pressure is going to go up, so you have to be on blood pressure medication. If you’re carrying around an additional 50 pounds, it’s like carrying around a small child on your back all day – hard on your knees, hard on your bones. For every additional pound of fat you have, your heart has to pump additional 10 miles of arteries, veins and capillaries to support that fat, so it’s very tiring. Since you’ve been on the diet, would you say that you’ve noticed an improvement in energy? Laura: Absolutely, I’ve had a huge improvement in energy. I’m a Girl Scout troop leader and recently I’d taken several of my girl scouts on a trip to a ski resort to go snow tubing, and I actually snow tubed with them. I never would have thought about doing that 5 months ago. DrM-That’s great you shared that story. We have that in common. I’m in really great health and that was exhausting for me, so I was excited when you shared that you were able to go tubing all day. It’s fun but it can really wear you out. Laura: Yeah, no doubt I was tired afterwards but like I said, physically I would not have been able to do that before. DrM-Good to hear. I know you had quite a bit of pain when we first started. How’s your pain doing now? Laura: My pain is greatly reduced. I feel so much better. I’m up and more active and my husband and my kids notice the difference. They notice that I seem to feel better, that I’m happier and just healthier, they can tell and I’ve definitely noticed as well. It’s wonderful. I’m not pain free but I’m off all but really one prescription medication, and I do take Tylenol. I do have some pain but it’s very manageable and it’s tons less than it was before. DrM-You had some issues, not terrible but issues with your sleep and we were able to fix that. Did that make a difference when we did that? Laura: Yes, absolutely. I actually thought that I slept pretty good, but now I realize truly what sleeping well and getting a good night’s rest is. I definitely feel more rested on an everyday basis, so it’s wonderful. DrM-You know it always drives all my patients crazy but I always use a 0-10 scale, 0 is where we started and 10 is what we’re shooting for, that’s the best. If we were 0 when we started 5 months ago, where are you on now? 0 is the worst and 10 would be the best, where are you overall? Laura: I would probably put it, you’ll laugh at me but 8.5. I’m not quite there but I feel so much better. DrM-I would agree with you because we still have to get that CRP level down. I know you’ve got some goals to continue to lose some more weight. You’re well on your way, you’re doing fantastic and your metabolism is really going up so I think you’re just going to continue to improve each and every week, if not each and every month. When we first met, I guess even prior to our new patient consult, what were you thinking prior to that, what were your reservations about doing the phone consult because I think that’s intimidating to some people. Laura: It was very intimidating. Honestly I was very skeptical how would this work, how would you really be able to help me especially over the phone. Yes, I was definitely skeptical and a little anxious but as we started everything and got the test results back and worked towards things, as I started to see results, then that’s when my confidence built and I felt much better about it. It’s been an amazing journey, an amazing transformation and I can’t thank you enough for getting my life back on track. DrM-I appreciate that and I love doing it. This is what I love to do, I love helping people like yourself who are really proactive and ready to do something, so it was a big leap for anybody. I totally get that, but I think so many people get stuck like a deer in the headlights and they stay stuck for years and years. What would you share in closing for the people that are listening or may listen to a replay of this? What advice would you give them? Laura: You need to be your own health advocate and do your research. 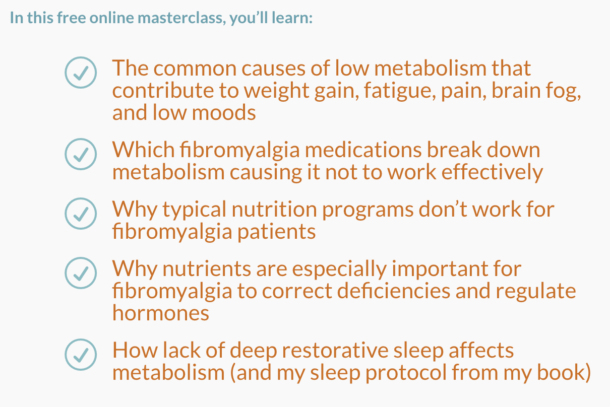 I think Dr Murphree is awesome, he’s wonderful, he’s a godsend and I would highly recommend anyone who’s experienced some of the things that I have or battled with fibromyalgia like I have, I would highly recommend the program. Go for it. DrM-Thank you so much, thanks for joining me Laura. I look forward to talking to you in the next couple of weeks. One of the things you heard there from Laura was that she really feels like she’s got her life back. I don’t think she would put it in those words, but fibromyalgia just robs you of everything. It robs you of your health obviously, but because of that you start to withdraw from life as you get worse. You find that you’re doing less and less with your family, maybe your children or your spouse, certainly with your extended family, probably less and less social engagements so your friends start to not even call you anymore because they don’t know whether you’re going to show up. Of course, you can’t make plans because you don’t know if it’s going to be a good day or a bad day. This goes on and on, and before you know it you’ve totally become somebody you couldn’t imagine being. I work with a lot of patients who are Type A, go getters, doers, they used to work out, exercise, work 40 hours a week, maybe they volunteered at the school or church and now, a good day for them is can they get out of bed and get dressed, and some of you can identify with that. I think a lot of times, patients with fibromyalgia just get beat down so much with this illness because they go to doctor after doctor, and the doctor is preaching the same message over and over again, that either you’re lazy or crazy or you’re just depressed, you need another pill. They tell you to exercise more- you wish you could exercise but there’s no way you can exercise. They tell you that you need to get more rest- you can’t sleep, that’s one of your problems but they tell you that you need to get rest. They tell you to lose weight – you wish you could lose weight. In Laura’s case like a lot of my patients, she had a thyroid issue that no one ever found and she had a problem with adrenal fatigue, so there’s no way she was going to be able to lose weight no matter how hard she tried. It can be very frustrating and my goal in my practice and my intention is to try to get a message out there for people to realize that they have an alternative option. I certainly don’t have all the answers, but what I do know, what I do works. I know that from the hundreds and hundreds of patients just like Laura who shared their story, that it just makes sense to me from doing this for so many years that there’s no one remedy for everybody. Everybody is different, so you have to treat individual person – there’s no ‘here it is, you do this and you’re going to get well’. It doesn’t work that way. I wish it did, certainly it’d be easier for everybody but the treatment is very individualized because everybody is different, as far as what’s going on with them biochemically. If you focus on finding and fixing the causes instead of treating symptoms, you stand the best chance of reversing the symptoms and getting your life back.